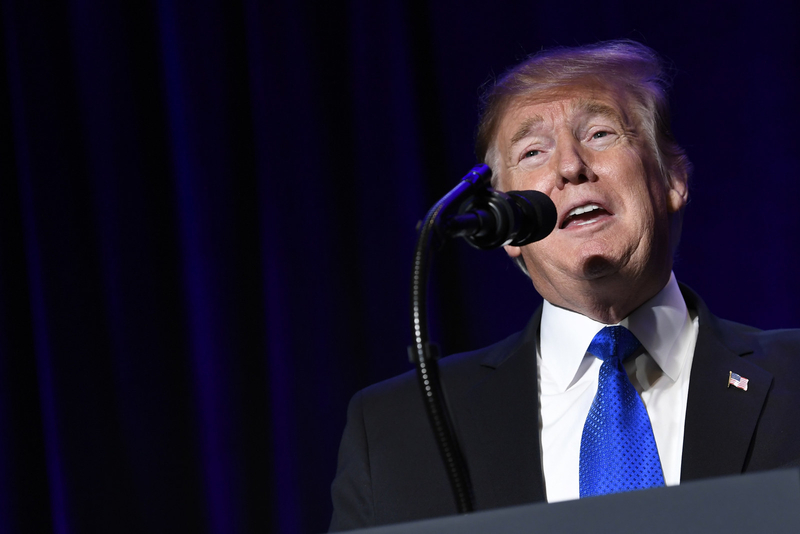 WASHINGTON — President Donald Trump’s campaign is creating a telephone hotline for its staffers as one of the ways they can report any allegations of harassment or inappropriate behavior. Sen. Kirsten Gillibrand has hired a top staffer who is certified as a professional in human resources. That staffer got recertified, specifically to be up to date on best practices in sexual harassment trainings and policies, just before joining her 2020 team. And Sen. Cory Booker’s team is designing several mandatory employee trainings on different workplace issues. Although they are still in the early stages of building out their 2020 presidential campaigns, campaign officials say they are prioritizing protections against sexual harassment and misconduct much more than those in the past, nine of the top 10 White House hopefuls who have announced their runs or exploratory committees told BuzzFeed News. From “exhaustive” legal reviews of procedures and spelling out what constitutes harassment and misconduct to custom trainings and ensuring more ways to report allegations, presidential campaigns say their policies addressing those issues can no longer be an afterthought on high-profile campaigns. In the past, most campaigns’ efforts in this area have been limited to a decades-old handbook containing boilerplate language that few employees actually read. Some in recent years have also required an online training — similar to the ones companies give their employees — that haven’t been catered for campaigns. The lack of human resources infrastructure made inappropriate behavior on campaigns, which are typically informal work environments, prevalent, more than two dozen women told BuzzFeed News in late 2017 when the #MeToo movement was gaining strength. Preventing bad behavior, and correcting the dynamics that prevent people from coming forward with allegations — including the person-to-person hiring networks that staff many campaigns, and an intrinsic desire not to harm the candidate with negative press — might prove challenging. Sen. Bernie Sanders, who has not yet announced a run or exploratory committee, is already dealing with allegations of sexism and harassment from staff on his 2016 campaign. Sanders apologized last month and said in a statement his “standards and safeguards were inadequate.” He also said his 2018 Senate reelection campaign had developed “some of the strongest sexual harassment policies in the country,” including an option for staffers to call an independent human resources firm to report harassment. Last month, BuzzFeed News reported that a former Congressional Black Caucus Foundation intern had alleged a staffer with the organization raped her in 2015; the accused man, who denies the allegation, later worked for Beto O’Rourke’s 2018 Senate campaign. Staffers for O’Rourke’s campaign said they had no knowledge of the allegation. Candidates running in the first presidential race since the #MeToo movement started, however, are under pressure to change the norm — not just to protect their staff, but also their own candidacies. “I do think that this is top of mind for everybody than it has been in the past,” said Ally Coll Steele, a former Capitol Hill and campaign staffer who created a nonprofit, Purple Campaign, aimed at ending workplace sexual harassment. Steele created her own “live training” focused on campaigns that featured scenarios for both field staff and headquarters staff and the dynamics that they might face. The detailed trainings address topics like dating other staffers on the campaign, alcohol use, and the boundaries between professional and personal settings that tend to get blurred on campaigns. “We also really dig into borderline gray areas that people don’t really understand,” she said. Keren Charles Dongo, former campaign manager for Sen. Tim Kaine who brought Steele in for the training, said she wanted to make sure everyone was on the same page and had an opportunity to ask questions and air any concerns. 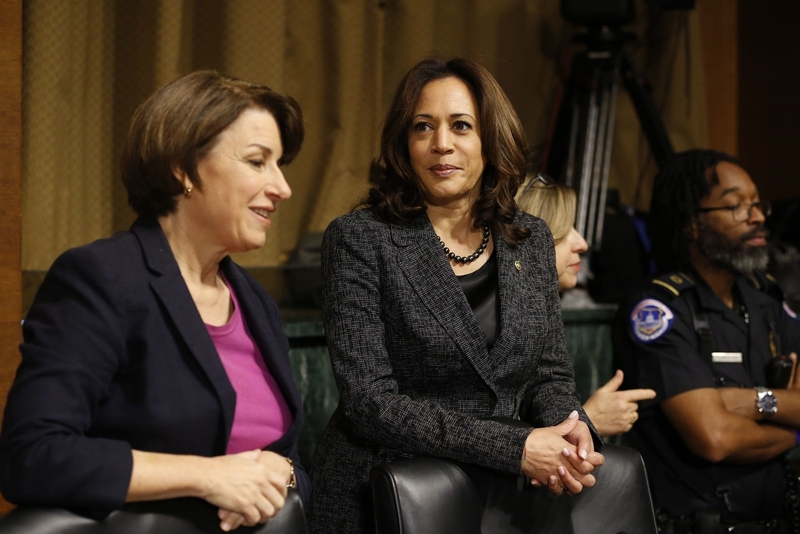 Klobuchar and Harris last year during the Kavanaugh hearings. Dongo said she has shared her experience of the new training format with the Democratic National Committee as more campaigns look to make these policies and trainings more of a priority in the #MeToo era. Several 2020 campaigns brought up updating trainings, in the way Steele described, or more specific language in defining harassment and misconduct along with the consequences for that behavior as ways for their teams to be more upfront with staffers and proactive in avoiding problems. Sen. Amy Klobuchar, the lead sponsor of legislation requiring anti-harassment training for all senators and also on legislation that reformed how Congress handles harassment cases, has “strong guidelines and policies in place” for her presidential campaign staff, a spokesperson said. 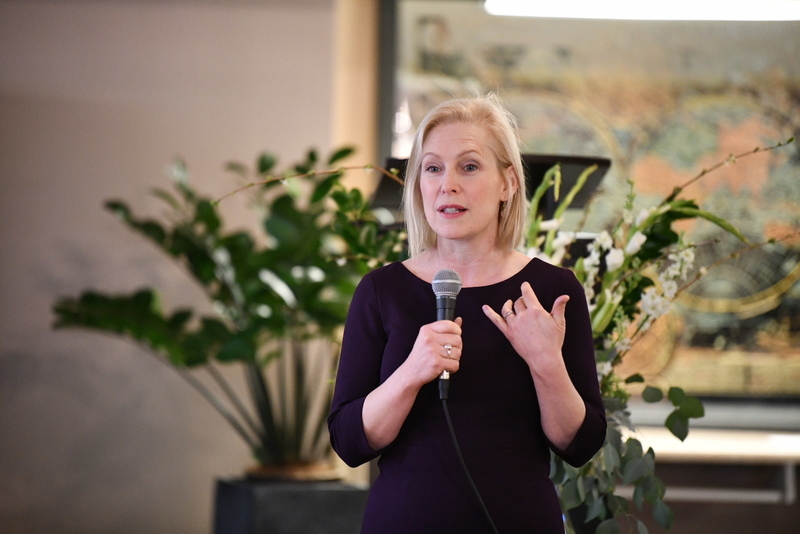 Gillibrand, who has made women’s issues the core of her campaign, developed her campaign’s policies with the help of HR consultants and legal experts. All employees will be required to attend at least one training and the campaign will hold them every month. The Trump campaign, which filed its paperwork for reelection the day the president was inaugurated, has taken the time to “responsibly assess and update our personnel policies in anticipation of the 2020 presidential campaign,” said Michael Glassner, chief operating officer for the Trump campaign. Glassner said the campaign’s legal counsel conducted an “exhaustive review” of policies and studied best practices to create personnel policies that are “best-in-class.” The new sexual harassment policies for staff define violations and protocols with “numerous options” for reporting allegations, such as a telephone hotline “that will be prominently posted in [their] offices.” They also lay out the appropriate consequences for violations. “All employees will be thoroughly briefed on our personnel policies as a requirement of their employment,” Glassner said. More than a dozen women accused Trump of sexual misconduct during the 2016 election. The president has denied the claims. Some campaigns on the Democratic side also said that the sexual harassment and training policies were only one part of the overall progressive workplace they wanted to create. In additional to the safeguard policies the campaign is crafting, Fiore said it will pay its interns $15 an hour and support efforts to unionize. Booker’s campaign also stressed that in addition to its policies on harassment and misconduct, its campaign will give 12 weeks of paid maternal and paternal leave. 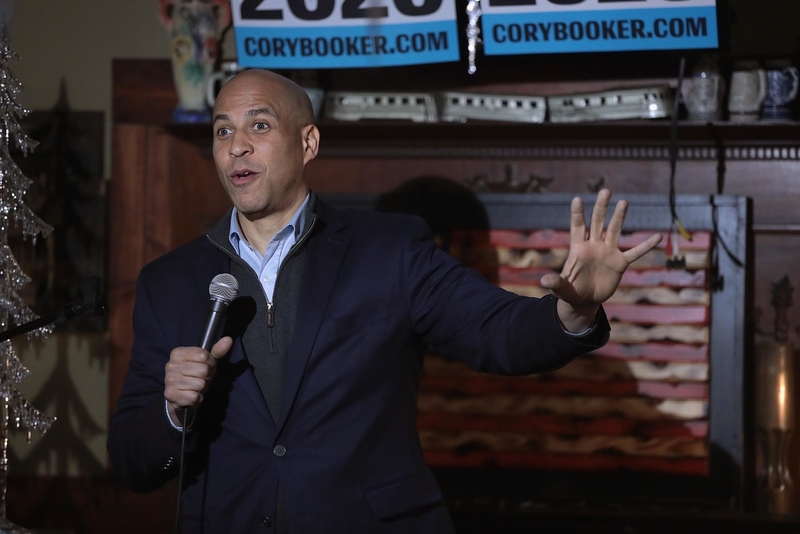 “Progressive campaigns should embody progressive values,” said Booker’s campaign manager Addisu Demissie.